James Gilligan is one of the nation's leading experts on violence reduction and is recognized internationally for his efforts to reform the criminal justice system. He has published widely on the subject, and is well known for a series of four books on the subject: Violence: Reflections on a National Epidemic, Preventing Violence: Prospects for Tomorrow, Youth Violence: Scientific Approaches to Prevention, and his most recent, Why Some Politicians are More Dangerous than Others. 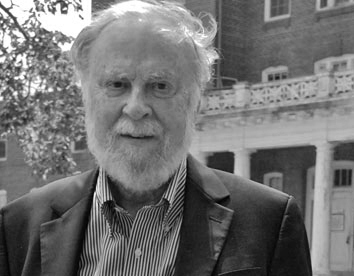 From 1966-2000, Dr. Gilligan was on the faculty of Harvard Medical School and became the director of Harvard’s Institute of Law and Psychiatry in 1977, where he led a team of colleagues from Harvard teaching hospitals in providing mental health and violence prevention services to the Massachusetts prison system. In 1997, Dr. Gilligan became the principal investigator of a violence-prevention experiment in the jails of the City and County of San Francisco called RSVP - Resolve to Stop the Violence Project. RSVP won the prestigious Harvard University Kennedy School of Government “Innovations in American Government” award for reducing violent re-offending by 83 percent. Dr. Gilligan currently teaches in the Department of Psychiatry of New York University.